Preparing to duel with your sworn nemesis, you secure the Peter Steel Helmet over your arming cap. 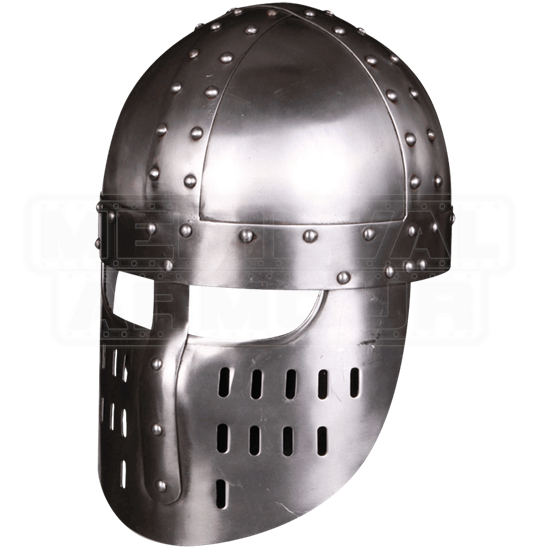 Drawing inspiration from the time of Crusaders, this handmade steel helmet features a full face plate for fearsome protection. The rounded skull is reinforced with crossing riveted strips in classic spangenhelm style, and the face plate extends from the bottom of the browband. Contoured to suit the shape of a face, this steel plate features an eye hole for sight, sectioned in two by a riveted nasal strip. Oval shaped ventilation holes on the bottom half of the face plate lend breathability to the design. 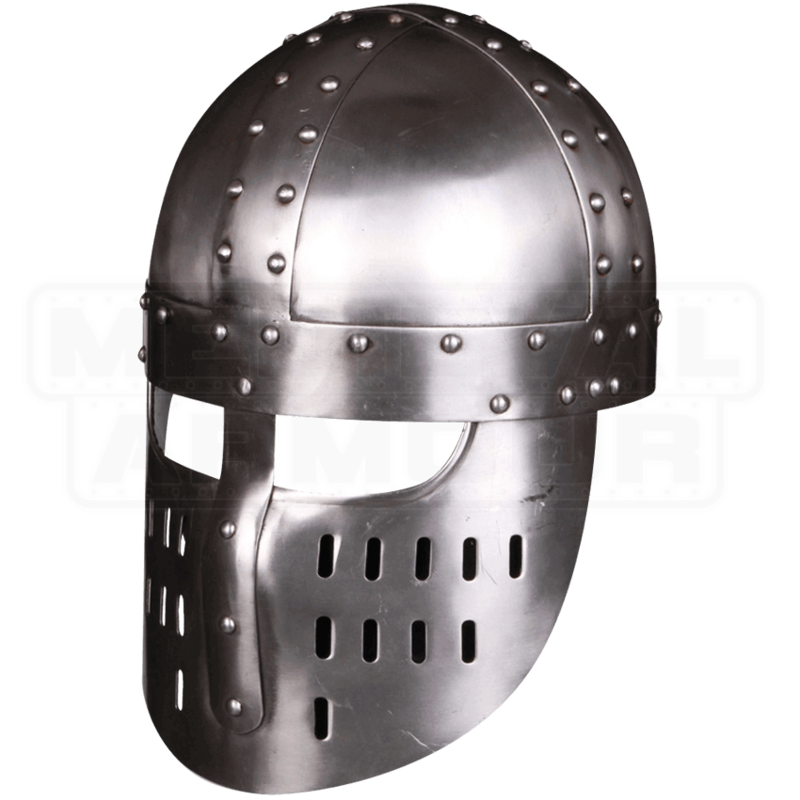 Lined inside with cotton covered foam, we recommend wearing a padded arming cap under this medieval helmet for best comfort and safety. Firmly secured to your face with two leather straps, the Peter Steel Helmet is perfect for LARP and costume use, and is particularly well-suited to medieval warriors and knights.